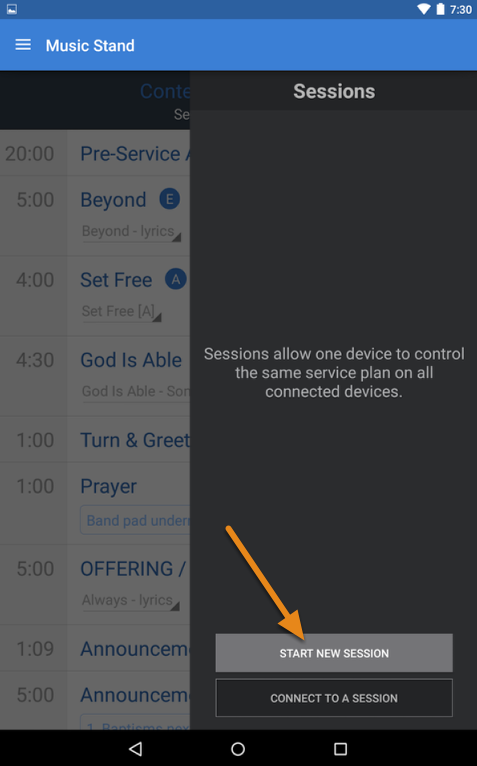 You can link multiple devices together using Sessions so that when you turn pages on the master device, all connected clients will stay in sync. Sessions requires WiFi is on and the device is connected to the internet. 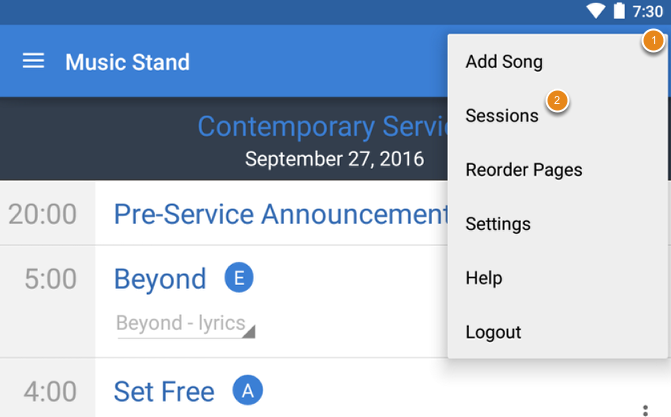 The title bar changes to green to indicate you are in control of a session, and a session is started. 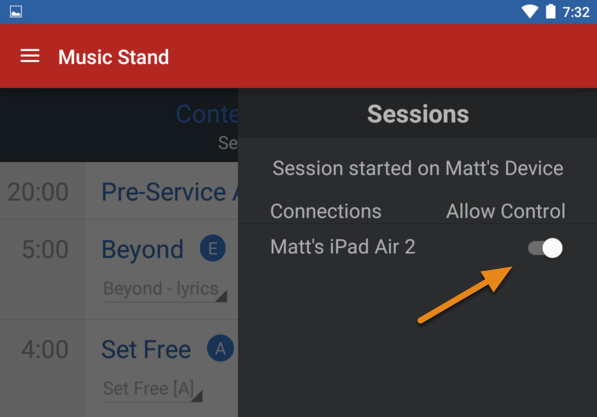 On another device, follow step 1 above to load the sessions tray and then tap "Connect to a Session". Then tap the Session device you'd like to Join. You have successfully connected. 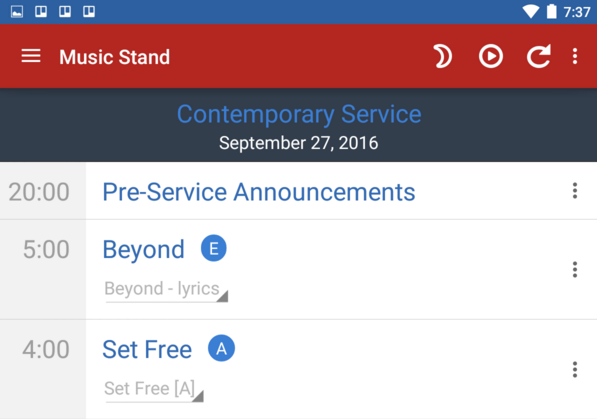 Since you are a client and another device is now in control, your header bar turns red. Any actions made on the master device will be shown on your device. 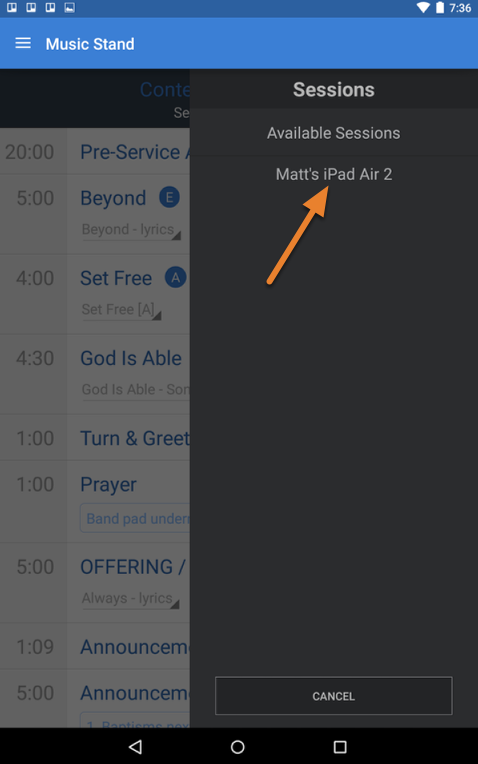 If you are logged in to the same account as the master device, your device will even refresh when new annotations are made on the master. 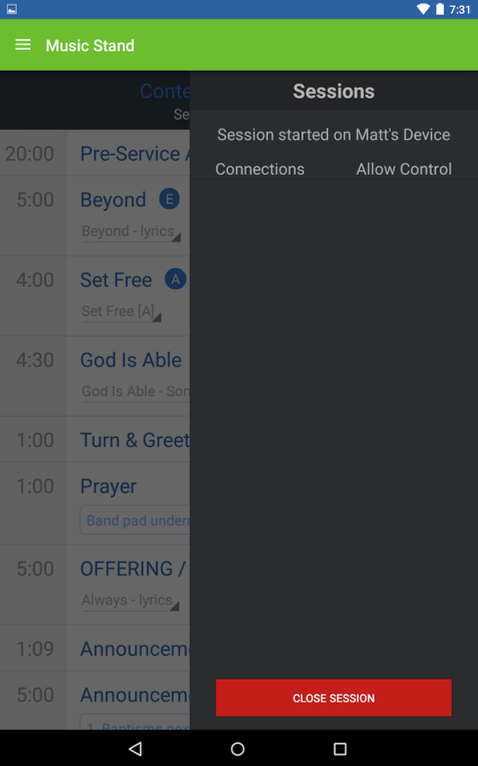 On the master device, you'll see a list of all connected devices. By enabling "Allow Control" you are handing off control that device. Your header turns red to indicate you are now receiving control instead of sending, and the new device in control will now have a green header. PDF view doesn't have headers shown, so to know if you are controlling a session or being controlled by another device, there are icons at the top right.